Jesse Alkire is a writer and performer on his own accord, bravely doing comedy for no pay, no accolades, nor any discernible audience. Trained by the historic Second City Theatre, iO Theatre, and the Mavis Beacon Typing Institute, Jesse spends his days putting practically none of those skills to use as an advertising art director. Jesse is the founder, editor-in-chief, and only writer of The Spungo, which he created in the fall of 2002 as a junior in high school. 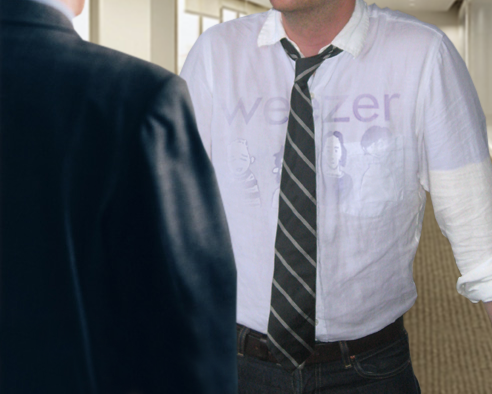 Most recently, TheSpungo.com served as Jesse's awkward, public attempt to be noticed by The Onion, who later offered him an audition as a freelance contributor.